Many say this power house on Lakeshore is a part of one of the most haunted collection of buildings in Toronto. 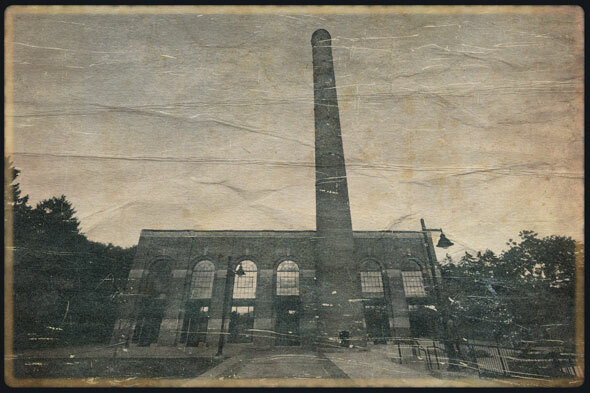 A terrifying experience awaits unsuspecting Torontonians and outsiders at the POWERHOUSE OF TERROR where legend has it ghosts linger in what is the most haunted group of buildings in Toronto. This ongoing charity haunt which opened this year on October 13th and hosting it’s last haunt of the year today on Halloween! Different than most attractions of it’s kind because this Haunt support’s local at-risk youth while bringing serious chills and thrills to Toronto. The Powerhouse was constructed in 1936, in Colonel Samuel Smith Park, Lakeshore. Once steam pushed these mighty turbines to make electricity, but now THE POWERHOUSE OF TERROR is an evil inferno powered by FEAR. Three new haunted attractions will reduce you to a pathetic quivering mass of fright. • 3.Acting and On-site Support. Powerhouse of Terror is like being in a scary movie. As you walk through a maze, monsters await around every corner. This is Toronto’s scariest, most terrifying Halloween attraction. The theme park is located in the Power House at Kipling, just south of Lakeshore. Expect professionally trained monsters in three new attractions. CarnEvil Manor – Where all the carnival workers live. Quarantine – Zombie Apocalypse. Insidious – Fear not the darkness, but what lies within it! Local students and at risk youth will put on a great production for this very worthy cause. The Powerhouse of Terror is made possible by these volunteers that make this community theatre production so spectacular. Toronto’s scariest, most terrifying Halloween attraction attracts people from all over North America each year. This year the house is built by and staffed with local at-risk youth and all proceeds go to the PACT Urban Peace Program. Quarantine– “The Zombie apocalypse” is a sick and twisted maze of carnage where zombies have taken residences. The Z1 virus is spreading and the zombies here are kept secret from the public…until now. Before they feast on your mortal soul, you must fight for your survival in hopes that the military will soon come to your rescue. Insidious – Def. ‘Proceeding in a gradual, subtle way, but with harmful effects.’ Inspired by the movie, take this journey into the dark world of “the Further”. Enter a dimension where reality as you know it will cease to exist. Afraid of the Dark? You should be!!! Powerhouse of Terror, a genuinely scary haunt and an essential addition to the Halloween festivities in the Greater Toronto Area. Their mission is to make you pee your pants in an actual attached haunted buildings built by the closed Psychiatric Center’s patients! If that doesn’t entice you to give it a shot just think of the kids in the PACT program and how much they would appreciate your donation. I’m not a chicken, FRIDAE TV will be there! For more information about the haunt, please visit the website www.CharityHaunt.ca.